Here’s our Spin Palace Mobile review for their sports and casino app.  Although Spin Palace does not yet have a dedicated Android or iOS mobile app that can be downloaded to your mobile from the Google Play Store or App Store, their sportsbook’s mobile site can easily be accessed by just visiting the Spin Palace website from a smartphone or tablet. The desktop site has been seamlessly mobile optimised to ensure a flawless and speedy betting experience which is equally responsive, attractive and intuitive as its desktop version. And, since the software has been especially adapted for use on a smaller screen, it enables the user to benefit from rapid wagering – which is always vital to the quality of the customer’s experience ( especially when participating in in-play wagering). Canadian customers who register for a new account with Spin Palace are eligible to claim a a welcome bonus as you can see from their latest advert above. As well as this welcome offer, all account holders can periodically receive regular emails which contain details of the frequent promotions, deals and offers which help Canadian punters to maximize winnings. The Spin Palace Casino website was first launched in 2001, however it wasn’t until 2017 that the Palace Group behind the casino site first established the sportsbook side of its business. While some people may be put off trying Spin Palace bookmakers simply because they are a less established entrant to the market, it’s worth knowing that their site has been founded on the experience of over 15 years in the online gambling industry. Thus, players can rest assured that they are choosing a trustworthy and reliable operator who have a proven track record in keeping their personal and financial details safe and secure. The Spin Palace sportsbook software is powered by the people at SB Tech & is seamless and smooth-running for an excellent quality wagering experience. Its attractive graphics and intuitive design makes this an appealing site to bettors both new and old, and (as mentioned) although there is no dedicated mobile app for download, the desktop site has been designed to adapt automatically to the smaller screen of a tablet or smartphone without losing any graphics quality or function. The mobile version of the Spin Palace site feels and looks virtually identical to its desktop version, including its intuitive interface and its wide selection of wagers. Even the InPlay feature is accessible through mobile devices, allowing for super convenient betting on active games. This is a regulated operator, with a license from the Malta Gaming Authority, and all financial transactions with this operator are through P128-bit SSL encryption software for extra player security and peace of mind. Spin Palace Sports not only offers an excellent range of sports, but for gamblers who would like to expand their betting opportunities, they also offer access to the casino side of the operation with its video poker, slots and table games that are sure to satisfy any punter when they are looking for some variety from sports betting action. Of course, there is plenty to keep committed sports bettors occupied here too, with all of the top professional sporting leagues available for wagering including the MLB, the NFL, the NHL and the NBA. Anyone who prefers betting on more niche sports can find an extensive listing of bet types on tennis, golf, motor sports, cricket, rugby, handball, darts and even eSports. The entire lineup covers over 70 different sports, so whether you prefer wrestling or archery, you’re sure to find something to suit. Punters can choose whether they prefer to have their odds presented in either Decimal, Money Line or Fractional Format, to suit their needs and experience, and as well as offering the traditional selection of total, money line and spread wagers, there are also plenty of favourite exotic bets too such as props and parlays. Of course, there is also the inPlay cutting edge feature which allows punters to wager on the action of games which are already under way. There are plenty of convenient banking options for players to choose from including traditional options like MasterCard and Visa as well as more modern online e-Wallets like Neteller and Skrill when making withdrawals and deposits. When it comes to customer support, Spin Palace does not disappoint, ensuring that punters can get answers to their queries and help for any problems whenever they need it. The support team are on hand 24/7, and can be contacted through several convenient methods including email, telephone helpline or live chat for an instant response. For those who are looking for an even quicker response to their queries without having to contact a representative, there is also a Frequently Asked Questions section to be found on the sportsbook’s website which offers basic answers to the most commonly posed questions. The professional customer service team are friendly and knowledgeable, as well as multi-lingual, with both English and French speaking staff to cater for the needs of most Canadian punters. To recap, while the Spin Palace mobile sportsbook mobile site has only very recently been introduced to the market, punters should not be deterred from trying it out. As the Spin Palace Casino site is already a tried and tested operator, with a long history in the online gambling industry, their bookmaker operation can certainly be relied upon to be reputable and trustworthy and to offer players an excellent wagering experience. The Palace Group are regulated and licensed for the customer’s peace of mind, and their cutting edge software is innovative and intuitive enough for even a beginner to use with ease. There are some excellent promotional offers to take advantage of, including a lucrative welcome bonus, and the mobile site is highly responsive and well designed for seamless access. With competitive odds, a wide variety of sports markets and wager types, and the opportunity to take benefit from in play betting, Spin Palace is definitely worth trying out in our view.